Around 30 minutes from Innsbruck, the Tyrolean village of Neustift makes a good base for exploring the Stubai Valley and its surroundings. Rupert Parker enjoys some Tyrolean hospitality. On my first morning at the Jagdhof Spa Hotel, I’m up early for a swim in the heated outdoor pool. The mist is still hugging the mountains but, during my 30 lengths, the peaks, topping the wooded slopes begin to show themselves. At the head of the valley is the Stubai glacier, glistening in the early morning sunlight, and I’m relishing a few days of gentle walking. In fact there are over 850km of marked trails in the valley, with four separate walking areas, all linked by bus, with gondolas giving you a hand to get up high. If you don’t fancy the higher paths, then you can wander from one end of the valley to the other, following the river. The day is sunny so I go to the village of Fulpmes then take the gondola to the Kreuzjoch station at 2136m. It’s very clear and I can see the Dolomites of Northern Tyrol in the distance, with the Stubai valley stretched out below. It’s a lovely walk downhill through forests of pine, larch and Norwegian spruce with a wide diversity of wild flowers fringing the broad trail. There’s no danger of getting lost as everything is helpfully signed, with indications of timings. Lunch is halfway down at the Schlickeralm Restaurant and I polish off a hearty plate of spinach and cheese dumplings, before continuing to the valley below. Another day I start from the village of Mieders and take the gondola to Serles at 1600m. I’m planning to take Europe’s second longest toboggan run all the way to the bottom, but it’s closed because of the threat of rain. Instead I take an easy five hour trail to the healing fountain at the Maria Waldrast monastery and back down to village. For an overview of the glacier, many people take the trip to the viewing platform at 3,210m, which extends nine metres from the rocks. There’s skiing here until early June, although a walk on the glacier requires a guide and ropes. 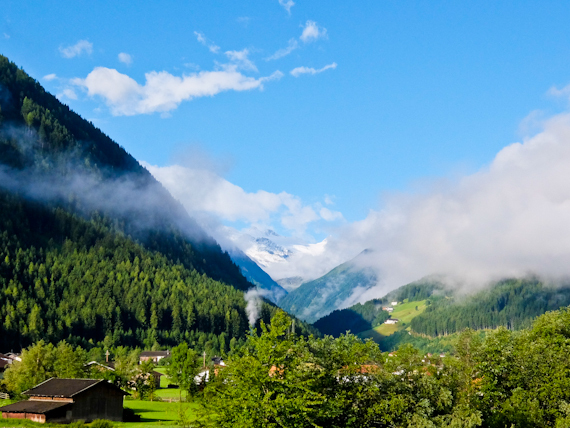 If you’re not confident of finding your way on your own on the other trails, then Neustift has an ‘Alpine School’ which offers daily guided walks around the Stubai valley. Popular for a day trip is Castle Tratzberg, around 50km away, perched on a hilltop between Jenbach and Schwaz, high above the Inntal Valley. It was originally built to defend the border with Bavaria and the present structure dates from the 16th century. It’s been passed down the generations and today’s owner is Count Ulrich Goess-Enzenberg, who still lives here with his wife. Most of the furniture and artworks have been here for centuries and a walk through its vaulted halls is a tour through the family heirlooms. It’s also worth spending a day in Innsbruck. Sights include the Tirol Panorama Museum, which has a 360 degree painting from the 1890’s depicting the defeat of the Tyroleans by the Bavarians. Just nearby is the Begisel Ski Jump designed by Zaha Hadid and completed in 2003. It operates all year round, even in summer, on an artificial slope, and it’s fascinating to watch the ski jumpers training. They’re there most mornings, depending on the weather and apparently they take off at around 92mph and land at around 126mph. It there’s any wind, they don’t risk it. The city gets its name from the River Inn, running through the centre, lined with medieval houses, painted in distinctive pastel colours, to match the occupation of their original owner. I wander the maze of cobbled streets and overhanging gables before visiting the Hofburg Imperial Palace and its attached church. Here is the elaborate black marble Cenotaph of Emperor Maximillian surrounded by 28 large bronze statues of his ancestors, relatives and heroes. For an overview of the city, take the Zaha Hadid designed Hungerburg Funicular, then connect to the Nordkette cable car and enjoy a drink at Seegrube at 2000m. 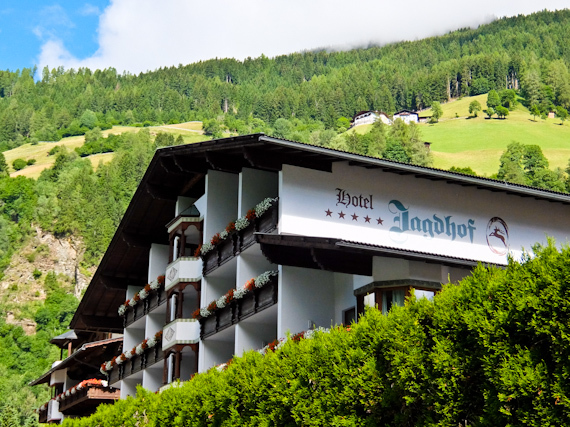 After a day out in the busy city, it’s a relief to return to the calm and tranquillity of the Stubai Valley and relax at the Jagdhof Hotel. 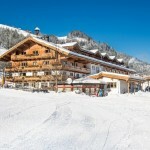 Food here is also excellent, as you’d expect from a member of the prestigious Relais & Chateaux organisation, and ingredients are sourced from local farms and served with a selection of Austrian wines. As the sun sinks in the valley, I’m back in the pool, this time in the hot tub, watching the clouds envelop the mountains, and relishing another five course dinner. Inghams offers seven nights half board at the five-star Jagdhof Spa Hotel in Neustift, from £1,439 per person, based on two sharing. 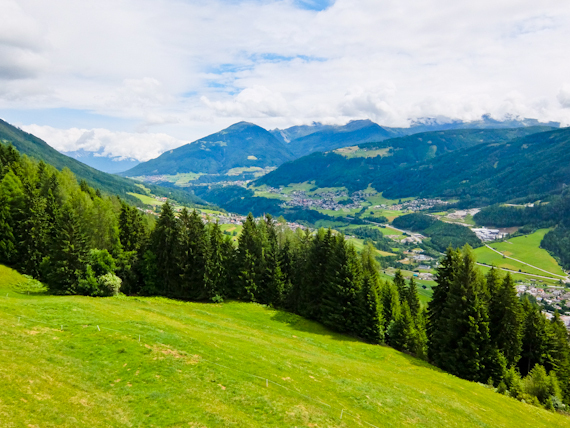 Price includes return flights from London Gatwick to Innsbruck, private airport transfers, guided walks, hot and cold buffet breakfasts, afternoon cake and five-course evening meals. The package is valid for travel in August and September 2017. 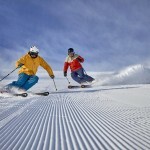 To book, visit www.inghams.co.uk/lakes-mountains-holidays or call 01483 791 116. 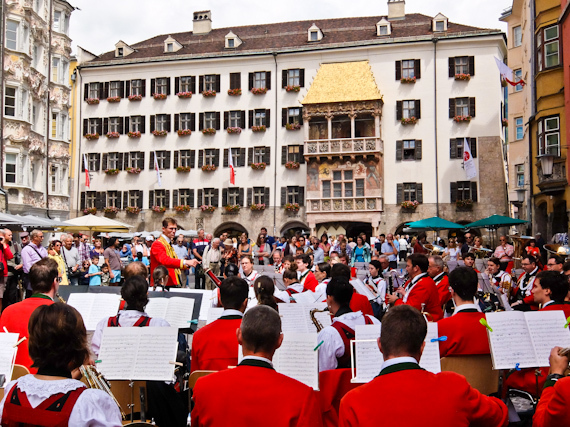 Innsbruck Tourism has information about the city. 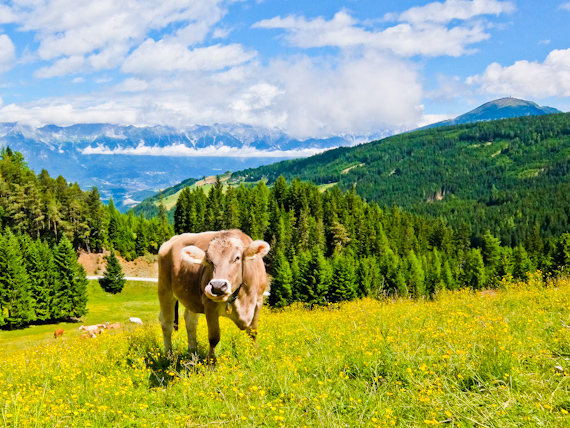 Visit Tyrol has information about the region.